Bromi Designs Wall Art combines only the highest quality materials with a unique contemporary-style design. 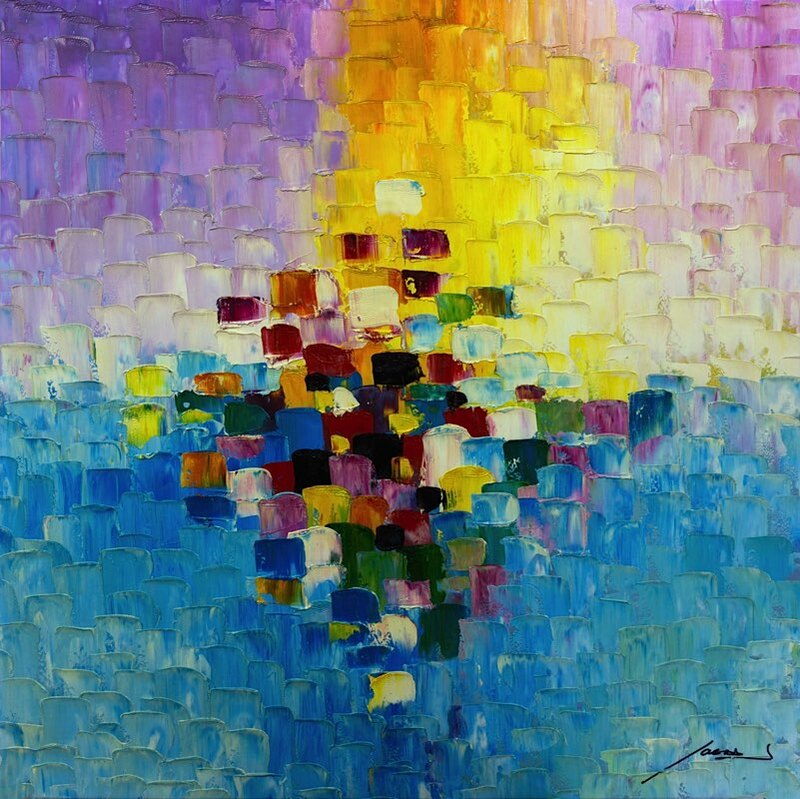 "Sunrise" is a modern abstract frameless hand-painted canvas over wooden stretchers. This artistic piece is the perfect accent to any modern, contemporary or transitional interior.